Heating of the terrace at a cafe or restaurant. When the good weather is finally here, we all want to forget about the things we have to do and go somewhere far from the computers, noisy and dusty streets to enjoy the fresh air. We want to relax and think about nothing, talk to the people we love, walk or maybe sit in the comfortable chair and read somewhere outside. Nowadays, there are loads of different options for an active or cultural rest. Many summer cafes and restaurants, that offer you to spend your time on their terraces, open the doors and welcome you. Each year, starting from May or when good weather comes into the country, we can watch the workers of the restaurants and cafes equipping their summer terraces for their guests. Some cafes and restaurants work only during the summer time because of their location, territory, maybe they do not have a place where they can work during the cold times or maybe the owners want to work only during the summer. Thus, we understand, that pretty often a summer terrace is not a part of the cafe or restaurant – it is a cafe or a restaurant itself. Such business decisions as summer terraces must work as effective as possible to become profitable. The visitors want to come back to the place or to advice the place where the furnishing, atmosphere, service and cuisine are at the highest level, where it was comfortable to stay, talk and, of course, eat. Therefore, the task for each conscientious owner is not only to provide the discipline and clean kitchen, good menu but also to make the atmosphere cozy, interesting and warm. What differs summer terraces from everything else is that the clients can enjoy fresh air, cool wind and blooming nature while eating and relaxing. 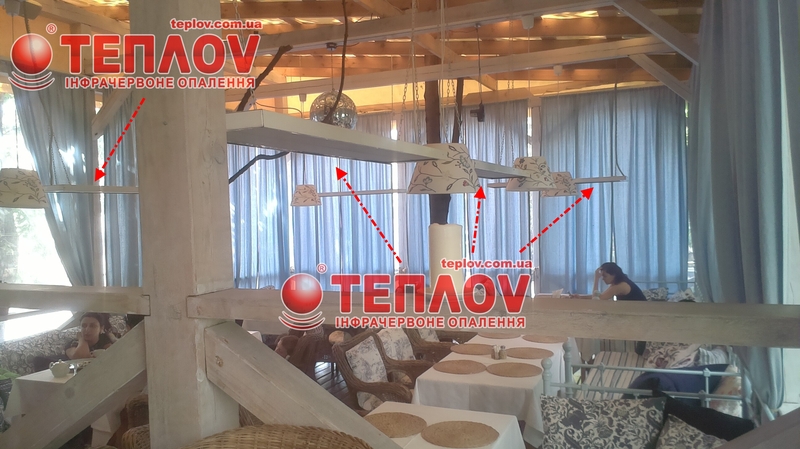 That is why the owners of the cafes and restaurants have to do their best to make their summer terraces comfortable. The first thing to think about while considering the summer terrace is the heating of it Despite these terraces work during the warm seasons, the weather can quickly change and it can become cold or windy and the clients may get just frozen and feel uncomfortable. 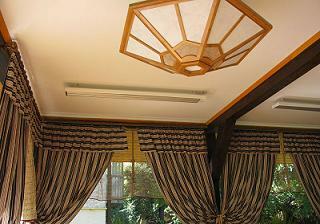 Nowadays, the infrared heaters can solve this problem in the best way. It is pretty well-known now that the principle of work of the infrared heaters is similar to the principle of the sun rays, which, undoubtedly, differs this method of heating from all the others. Thus, if we are talking about the heating of a summer terrace, we can recommend you to install the newest technologies of heating for any premise or even an open space, but there is one thing you must keep in mind – free access to the electrical network. Infrared heaters can be installed and used in any premise since they are compact and they are usually installed on the ceiling so they do not take much space of the room. Using infrared heaters is the best way to heat the working places and the open spaces since they heat the objects ( chairs, tables, sofas) and the people, but not the air. This lets to save up the heat even during the major temperature shifts at the open space. Heating the terrace with the infrared heaters lets us forget about the constant heat losses, which are usually inevitable at the open space and we do not have to worry about the safety. Moreover, these heaters are easy in use because, firstly, they are absolutely noiseless, secondly, these heaters do not cause any bad smell and you can install a special device to control the temperature automatically. Nature can give us plenty of nice moments and we can remember about them in winter too because you can always create a nice winter garden in your house and even heat the greenhouse. Infrared heating is extremely suitable in this case since it gives the plants that heat that they need for the permanent growth. If winter garden is a part of a commercial premise or any other public premise, it can also turn into a unique feature of your premise or a just a nice place to relax. In the winter garden, people can spend their time among the blooming plants despite the fact that it is cold or even snowy outside. Infrared heaters can create a tiny oasis and you can enjoy it any time you want. Automatic control of the heaters can let you forget about the problems of heating the room after night and you will not worry about the safety. 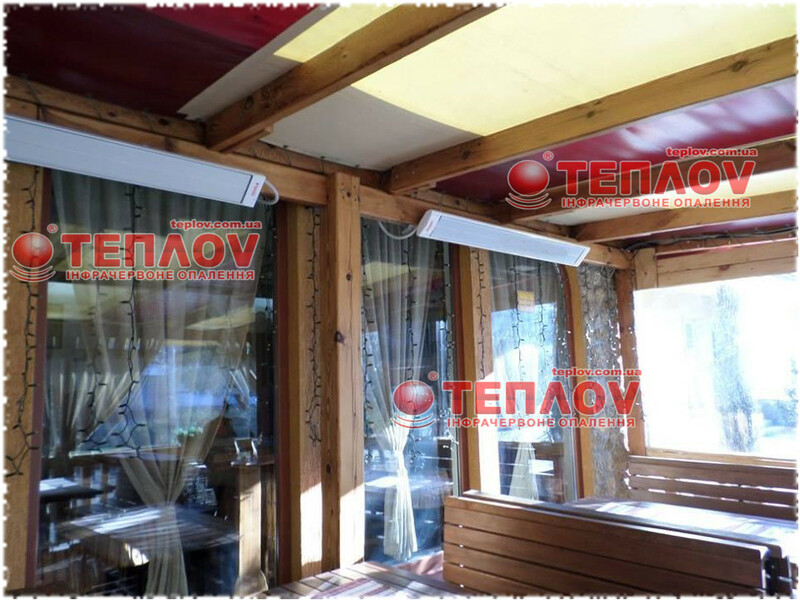 Thus, infrared heating is a great decision for heating and the terrace, and the winter garden.